In July this year China completely lifted a 15 -year-old ban on gaming consoles, and the country’s budding developers have already tapped into the fastest way to the market: Android-based consoles. 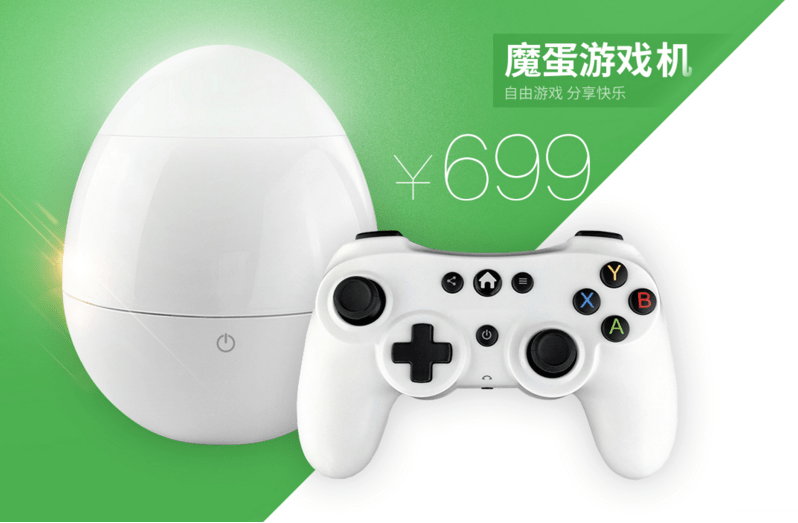 Producing an Android-based solutions, similar to Ouya’s US$99 console, allows companies to enter the market without waiting to develop their own systems, while maximizing China’s powerful manufacturing capabilities has quickened the process. For China’s tech companies Android systems also allow them to integrate with their existing game environments. 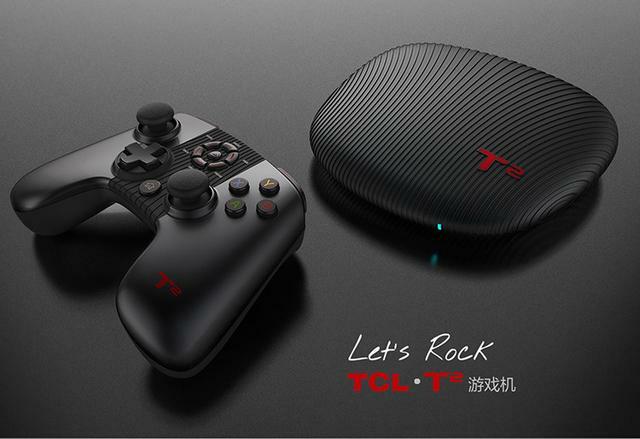 ZTE9, the joint venture between telecom equipment giant ZTE and gaming company The9, launched a Ouya-like pack in March 2014. In the following month Chinese TV maker TCL unveiled a similar product. Several more made by eletronics companies would be launched in the following year, including OBOX by Snail Mobile’s electronics arm, and TIME BOX by Vimtag. Their prices range from RMB699 to RMB1999 (US$110 to US$320). As more game companies and developers are moving into the TV gaming market, TV game distribution platforms have emerged too. Mianhuatang, meaning ‘Marshmallow’, is one of the leading TV game distributors. They launched their own Android gaming console Modan in July 2015. Experienced game developers are entering this market too. Veteran gaming entrepreneur Wang Feng co-founded ‘FUZE‘. FUZE is developing its first hardware product and has established a developer platform for third-party content. The startup announced US$60 million in funding last month. Wang’s previous online gaming company Linekong went public on the HKEx GEM in 2014. Chinese social network and gaming giant Tencent unveiled an upcoming Android-based gaming console called ‘miniStation’ earlier this week. It runs on a Qualcomm processor and is pre-loaded with TencentOS (TOS), an in-house developed custom Android system for hardware solutions. Along with a conventional controller, users are able to play games with their smartphones using a mobile app that is available on both Android and iOS app stores. TencentOS supports Tencent’s social account systems and online payment service. The price for the miniStation hasn’t been announced yet. Tencent only said that it would be affordable to average Chinese families. 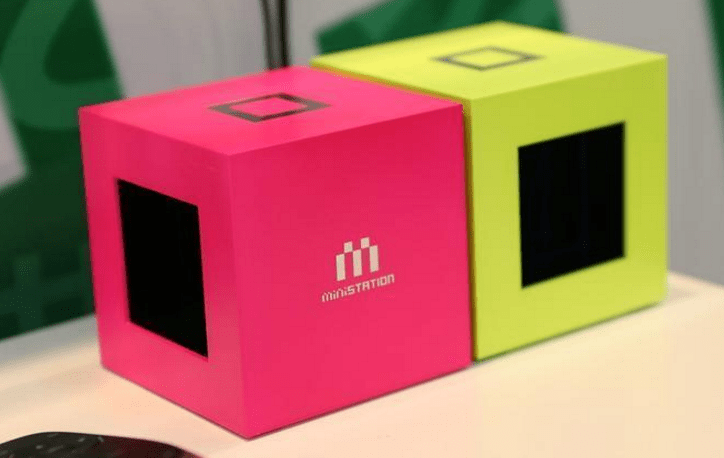 Lenovo and TV maker Skyworth have signed up to manufacture and distribute the first miniStation devices. Tencent hopes to have more partners to make and sell consoles loaded with the miniStation solution. For Tencent, what’s more important than profits from hardware will be the users and revenues gained from the games themselves. Currently it’s unknown whether Tencent will share gaming revenues with hardware manufacturers. Eight games have been available on the platform, including two developed by Tencent, three from Gameloft, one from Epic Games, and another from Taiwan-based game developer Rayark. Tencent has stakes in both Gameloft and Epic Games. Together with the miniStation Tencent also launched a developer platform encouraging third parties to develop virtual reality content and applications for its system. Third parties will be able to integrate Tencent’s social account systems, QQ and WeChat, into their games and Tencent’s online payment service to collect payments. It’s not surprising to see Tencent exploring gaming technologies considering gaming has been their largest revenue source and one of the most popular offerings of the company. It was reported that Tencent joined Xiaomi and other Chinese companies intending to acquire Ouya. Ouya signed a cooperation agreement with Xiaomi in 2014 and took investment from Alibaba in early 2015, hoping to deliver its games via the two Chinese giants’ set-top boxes or smart TVs. Speculation ended when Ouya’s software assets were sold to Razer, the gaming hardware and software developer, in July 2015 and its hardware business has discontinued. Now its solely a content provider for Andorid TV and Android game consoles. Xiaomi launched a gaming controller in late 2014, and it’s very likely Xiaomi will release a gaming console in the near future as it has been making investments in all kinds of smart device makers along with making their own Android -based smart TVs. It is reported that the company, or its investment arms, have invested in two TV game developers, and Xishanju and Ximi Game, Xiaomi’s online game affiliates, are developing TV games (report in Chinese). Alibaba has already developed a set-top box. In late 2014 its gaming division announced to shift focus from mobile gaming to TV gaming and home entertainment. Qihoo 360 invested in Xiaocong Network which launched the Daqiuzhang Android console in early 2015. LeTV (aka. Leshi), the smart device and online video company, is reportedly developing a gaming console too. For tech giants, their advantage is a huge existing user base and online infrastructure for payments and content distribution. Content Is The Key, As Always. Tencent’s miniStation is so far one of the few that offers famous titles optimized for TV gaming experience, and what the rest have are mainly existing mobile games. Chinese games for the Android system are comparatively low quality. Mr. Wang with FUZE argues in a recent article that it’s not because of the limitations within the Android system but that developers don’t have incentives to develop high-quality mobile games, for (1) high-quality games don’t perform well on the low-end Android phones used by a large number of Chinese consumers, and (2) mobile games have relatively a short product life cycle, meaning companies can’t justify the costs of high-quality content. To tackle the issue, FUZE had reached out to game developers XBox and PlayStation to make their games compatible within the Android-based platform, according to Wang.